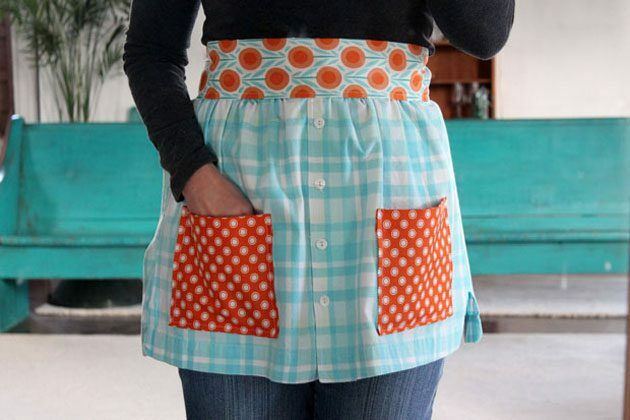 Regardless of whether you're a starting sewer or an accomplished needle worker, you can look cooking-demonstrate chic while you cook. Refashioned from an old traditional shirt, this cover highlights planning pockets and a beautiful belt for a chic curve. Go for style while picking the complement textures. 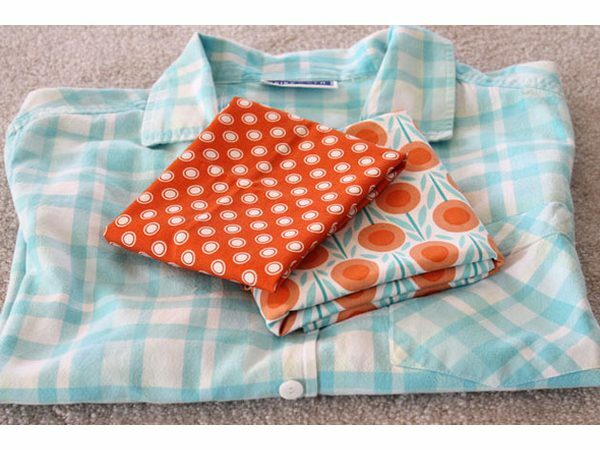 Utilize a crease ripper to expel the pocket starting from the button shirt. 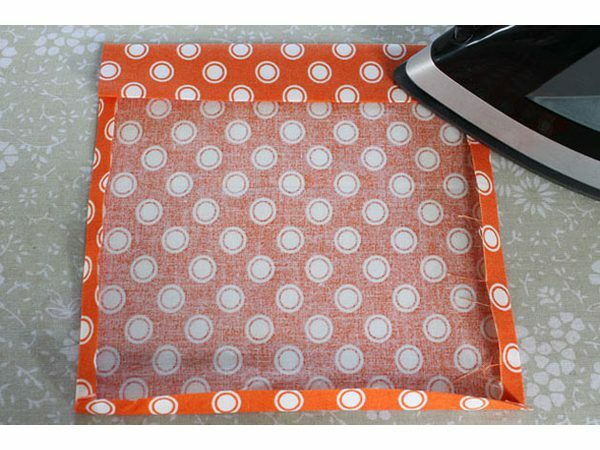 Subsequent to expelling the pocket, press the range with a hot iron to close any gaps in the texture from the sewing. Utilize the base segment of the shirt to make the cook's garment. Measure 15 crawls up from the base of the shirt utilizing a measuring tape. 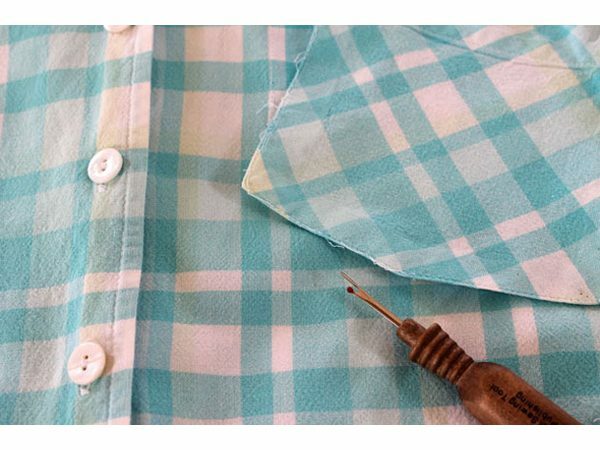 Stamp this separation over the shirt with a launderable checking pen and cut along this line. 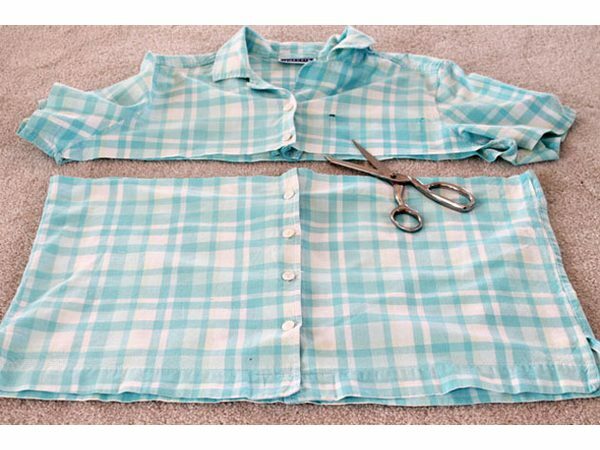 Flip the shirt over and cut up the middle back so you can lay the shirt out level. Flip it once more, and now measure and check 30 crawls over the front of the shirt. 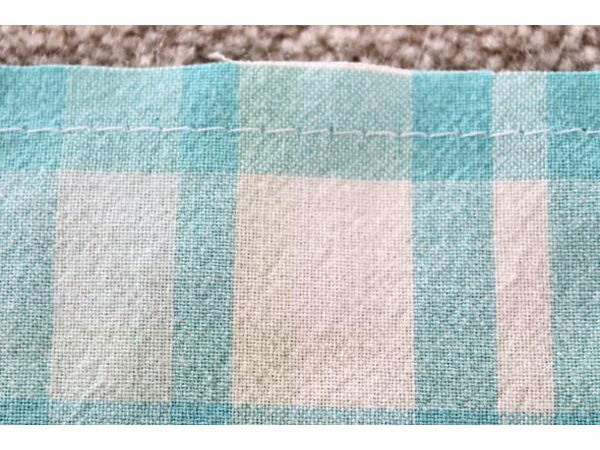 Focus the catch placket when you stamp. Cut the new sides. Overlay 1/4 inch of texture under on each side and press with a hot iron. Crease another 1/4 inch under and press once more. Stick set up. 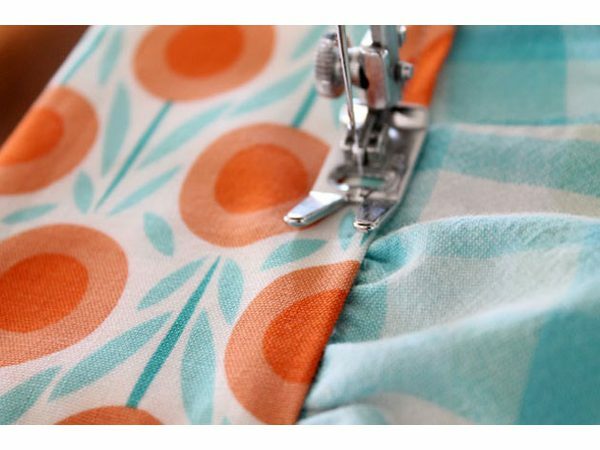 Sew with a medium line length and a medium-weight 90/14 all inclusive needle. 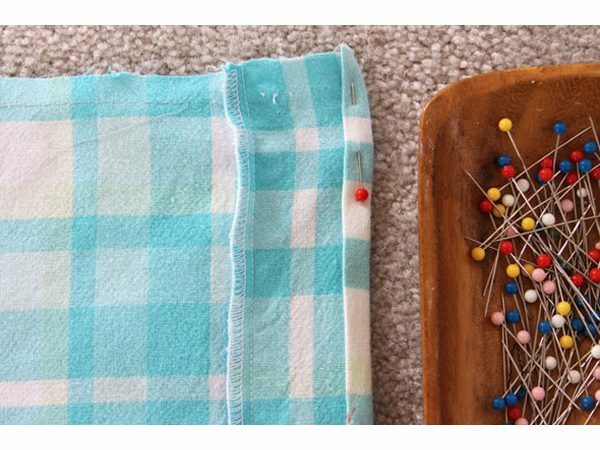 Expel the pins as you sew. 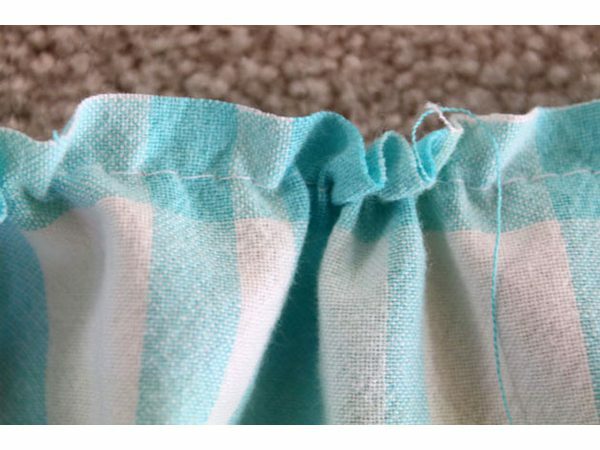 Set your sewing machine to the longest join length and sew 1/2 inch in from the edge the whole way across the best crude edge of the smock. Force somewhat on the bobbin string of your treating line to assemble the highest point of the smock. 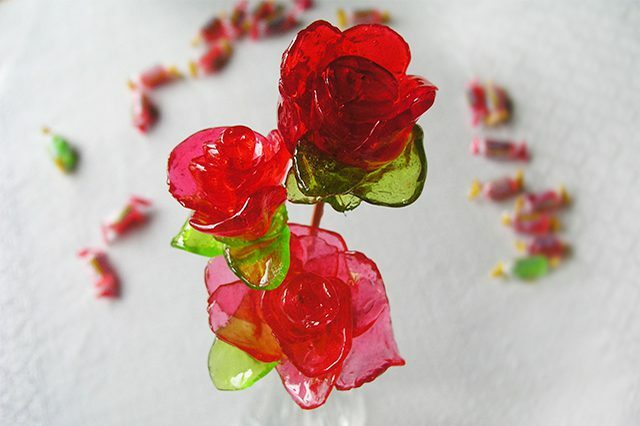 Put the cook's garment aside. Cut out a 12-by-60-inch bit of planning texture to use for the belt of the cover. Press the side edges under 1/4 inch on the two sides of the belt. 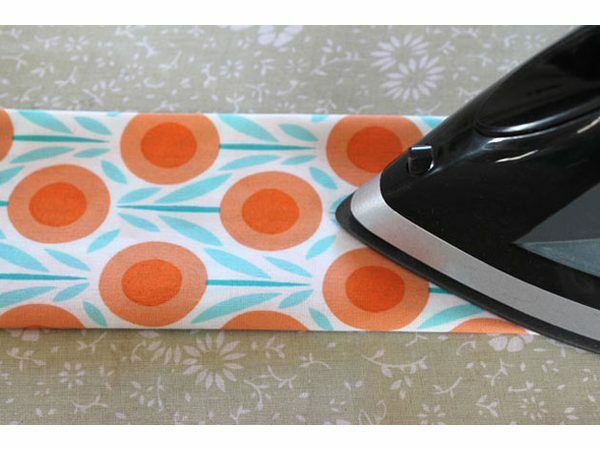 Crease the best and base of the belt on a level plane into the inside and press with a hot iron. 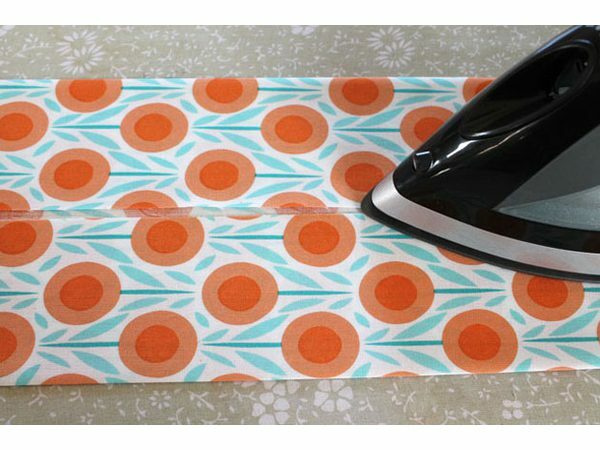 Overlap the belt on a level plane fifty-fifty and press with a hot iron. Check the focal point of the belt with a launderable stamping pen. Tuck 1/2 inch of the accumulated edge of the smock into the belt. 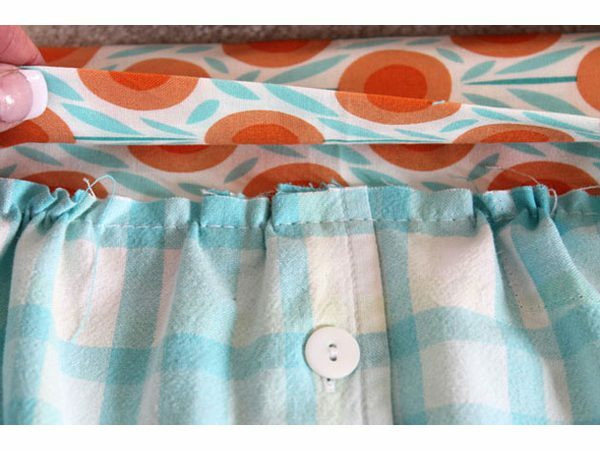 Match the middle front catch placket to the inside front sign of the belt. Stick the accumulated edge of the smock into the belt, sticking the distance around it. Begin to sew toward one side of the belt. 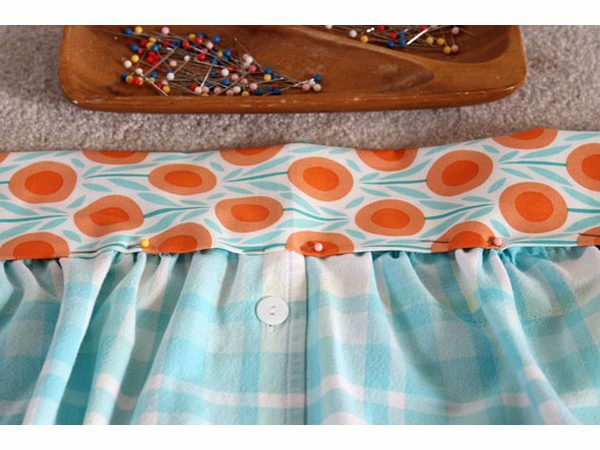 Keep on sewing all around the belt, expelling the pins as you sew. 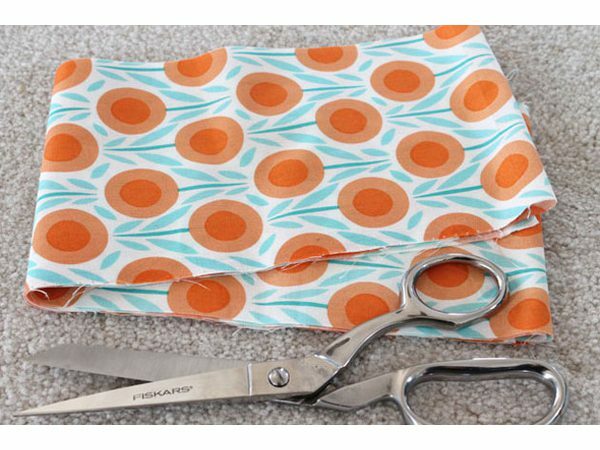 Cut out two 7-by-8-inch bits of organizing texture. 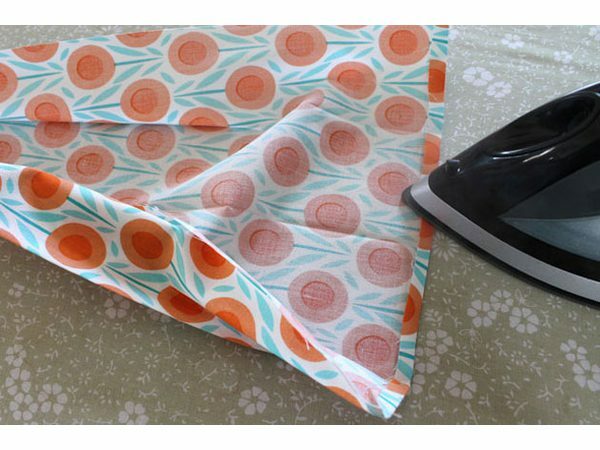 Press 1/4 inch under on all sides, and afterward press under another inch on the highest point of the pockets. 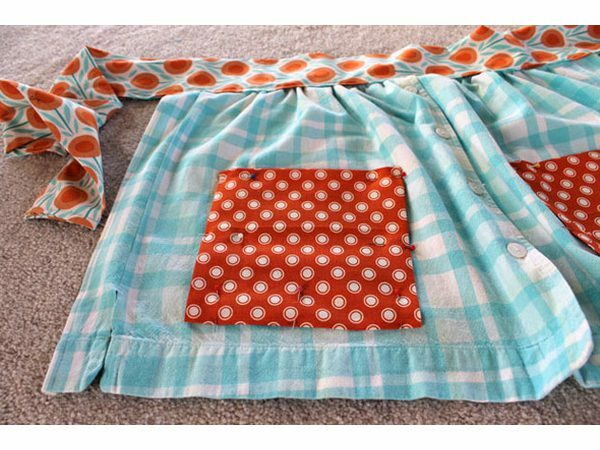 Place the pockets equally on each side of the cook's garment. 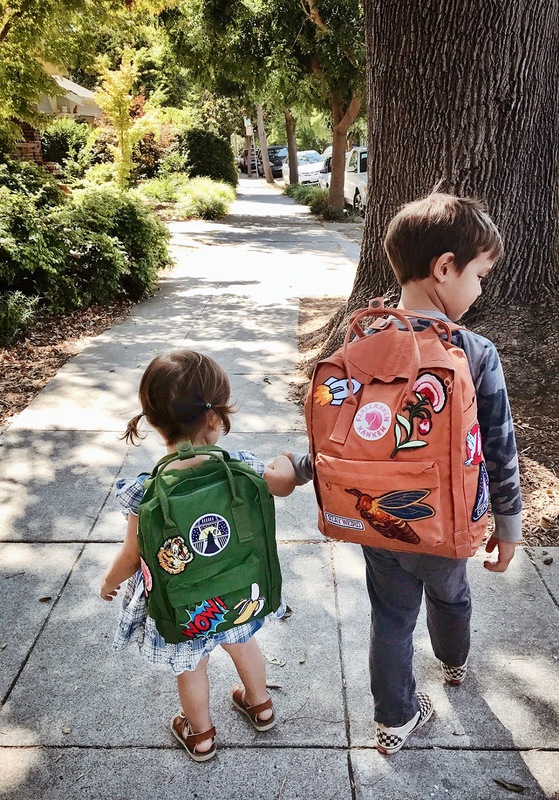 Stick and sew the pockets. 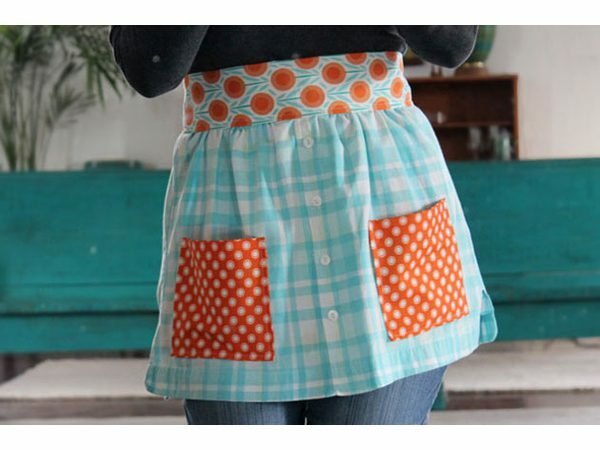 Tie the belt around your midriff, set out a glass of wine, turn on some music and get cooking in your awesome new smock.